File pockets are great for managing bulky records. 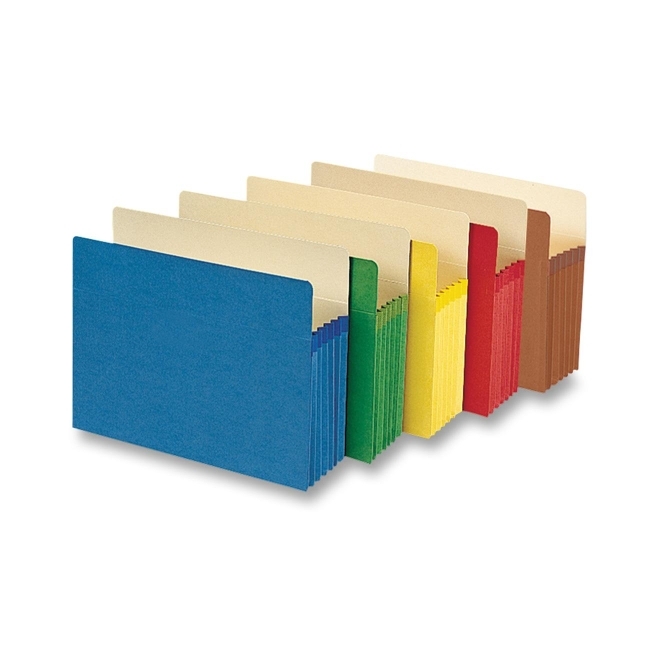 Each file pocket expands up to 5-1/4". Rollover Tyvek reinforcement at the top of the 6-1/2" sides makes them virtually tearproof. File pocket is made with 30 percent post-consumer material.